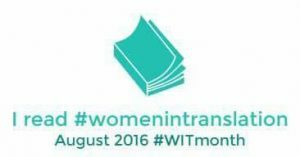 August is Women in Translation Month! Women in Translation Month was started in 2014 by translator and blogger Meytal Radzinski after she discovered the low numbers of women published in translation through research via Rochester University’s Three Percent database. She responded by starting the annual month-long celebration dedicated to expanding awareness and appreciation of women in translation while increasing their presence within the wider market. As expressed in Rochester’s Three Percent database, translated literature itself only makes up about three percent of the total number of books translated and published in English markets–that in itself is already a tiny percentage. Then factor in that only 30 percent of those are works written by women, and it doesn’t take a mathematician to understand that the numbers are dismally low! 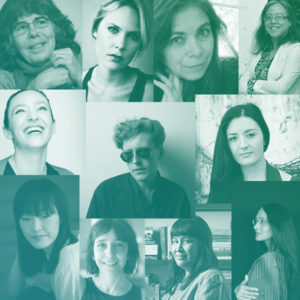 When Deep Vellum first started, this issue was central in planning its mission, a core tenet of which is our commitment to publishing equal numbers of women and men writers in translation in the hopes of shifting the balance toward equilibrium. That’s why we at Deep Vellum are especially excited to participate in this year’s Women in Translation Month by offering a 20 percent discount on all of our books written by women through August 31! Pick up a book today and celebrate Women in Translation Month with us! Talk about #WITmonth with your friends, on social media, in your classroom, over a glass of wine at a dinner party. You can even throw out this fun fact: the book widely considered to be the first novel, The Tale of Genji, was written by a woman—Murasaki Shikibu, who wrote the book in the early eleventh century! Before we send you on your way to commence #WITmonth celebrations, be sure to check out our upcoming events and mark your calendars! We have some exciting goings-on planned for the coming months, including author tours with two talented women, Ananda Devi and Josefine Klougart, and the official Grand Opening celebration for Deep Vellum Books! March Update: “Muslim” A Novel and Brice Matthieussent! Brice Matthieussent Touring the US! Leila S. Chudori Nominated for FT/OppenheimerFunds Emerging Voices Award! Deep Vellum Publishing is a not-for-profit literary publisher that seeks to enhance the open exchange of ideas among cultures and to connect the world’s greatest untranslated contemporary writers of literature and creative nonfiction with English-language readers for the first time through original translations, while facilitating educational opportunities for students of translation in the Dallas community, and promoting a more vibrant literary community in north Texas and beyond.